Wednesday, June 8, 2016 | 12:30 - 4:45 p.m.
Commercial real estate prices have more than doubled since the financial crisis lows of 2009 and in many cities the skyline is dotted with construction cranes. Similarly multi-family housing has been on a tear with rent growth outstripping income growth for most of the current decade making affordability a political issue. The critical questions we will be asking at the conference is whether or not these trends will continue or is the bull market over. 3:20 - 3:55p Keynote Address by Peter Lowy, Co-CEO of Westfield Corp.
Is the bull market in commercial real estate ending? What will be the impact of the on-going technological disruption on office, retail, industrial and hotel demand? Although commercial real estate has thrived in the low interest rate environment, is the lending environment turning hostile? Are California's commercial real estate developers still optimistic? Full employment--is it here yet? 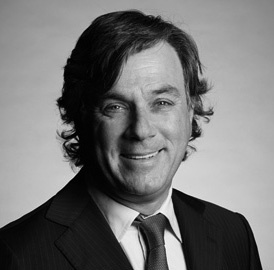 Peter Lowy, Co-CEO, Westfield Corp.